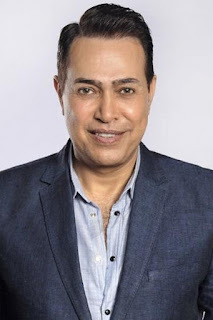 Hakim, an Egyptian folk singer, was born on 7 October 1962 in Minya Egypt. Full report on Hakim's life story, biographical information from Wikipedia and the latest news. Hakim was born on 7 October 1962 in Magaghah, Minya, Egypt. He started singing at the age of 10 at school and family concerts and gained fame in his hometown. In secondary school he came to Cairo to look for an opportunity to sing, so he sang in nightclubs and weddings. His father tried to distance him from singing and return to his hometown to complete his studies but he did not want to. In 1989, the artist Hamid Al-Shaeri was introduced to a production company and released his first album, "Kaka", which achieved great success.